"Travelers and tourists, who wish to enjoy the true royal experience of Rajasthan, Fairmont Jaipur is the finest accommodation for them. The hotel is designed according to authentic styles and architectural patterns of Mughal palaces that are present in the city. A stay in here is pure royal experience with the luxuries that are provided to the guests. When International brand of hotels. 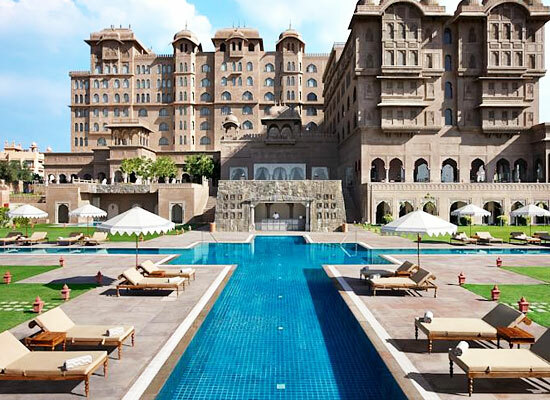 Fairmont decided to lay their establishment in the city of Jaipur, their idea was to construct a hotel which the represents the heritage of the Pink City. The decorations of the interiors and architecture of the hotel was designed to replicate the glory of Mughal dynasty and to reflect the prestigious past of Royal Rajputs who prevailed in here throughout the history. 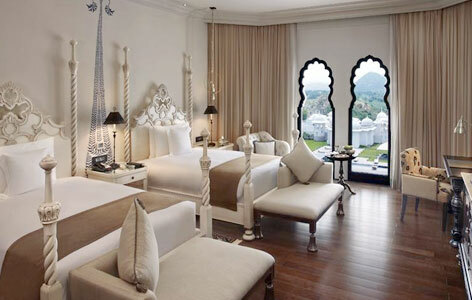 There are total of 199 rooms in the heritage style hotel of Rajasthan. 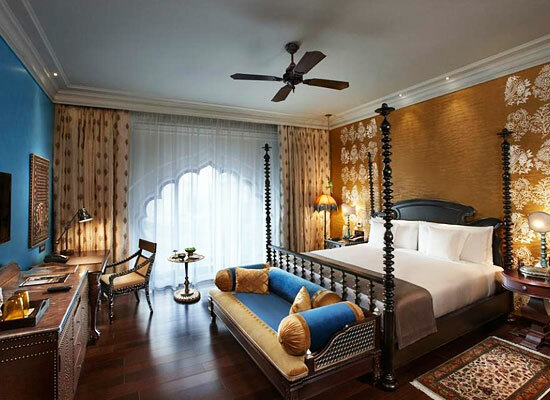 Every room is a perfect blending of traditional Rajasthan décor and the modern-style of living. The rooms and suites are very spacious and excel in providing comfort to each and every guest. All the rooms are installed with contemporary amenities that a modern-day traveler might require during their stay in the rooms. 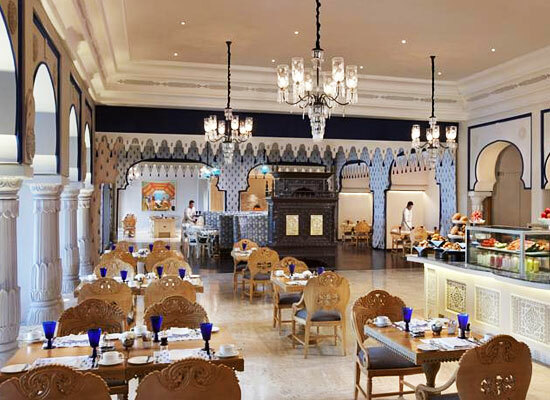 Zoya: The multi-cuisine restaurant features lip-smacking International and Rajasthani delicacies. Aza: The lounge bar is ideal for enjoying quick side-eateries along with exotic beverages. Anjum: The guests come here to enjoy deliciously brewed Indian teas along with cakes, pastries and mouth-watering cookies. Zarin: This is a restaurant that offers signature Mughlai dishes. Pool Bar: The guests love eating side-eateries along with beverages while taking a swim. 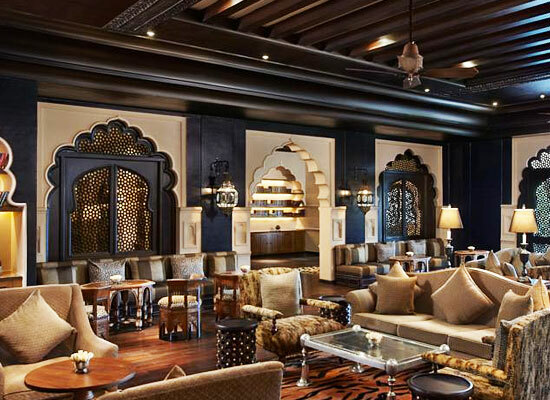 Cigar Diwan: This business lounge offers some of the most widely known Cigars and liquors. Rooftop Restaurant & Bar: The interiors of this lounge bar that offers international brands of liquors are built on Moorish and Mediterranean patterns. The small city of Jaipur, in Rajasthan, India has been a tourist hub for local and international travelers for a long time now. The rich culture and vibrant lifestyle of the people of Jaipur attracts and lures one and all to the “Pink City”. 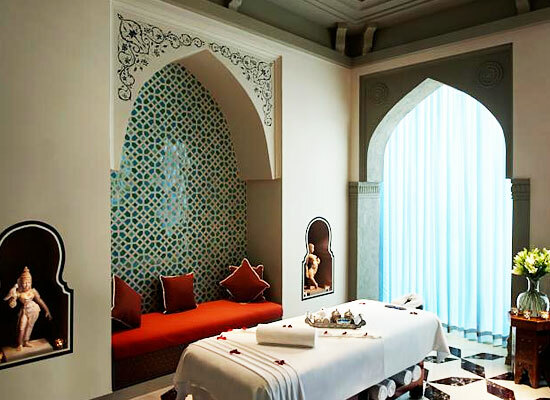 There are numerous, forts, palaces and havelis in the city which acts as major tourist attractions. For shopping, Jaipur is one of the best destinations in India.